to say that they are not. It is the context that needs to be addressed if even a spark of the real Himalayan mountain-climbing spirit is to be salvaged. A desperate venture, because there can be no solution that is not founded on a radical reduction in the numbers of visitors and a consequent fall in revenue for everybody concerned: the government, the Sherpas, the guides and the agencies that organize the commercial expeditions. 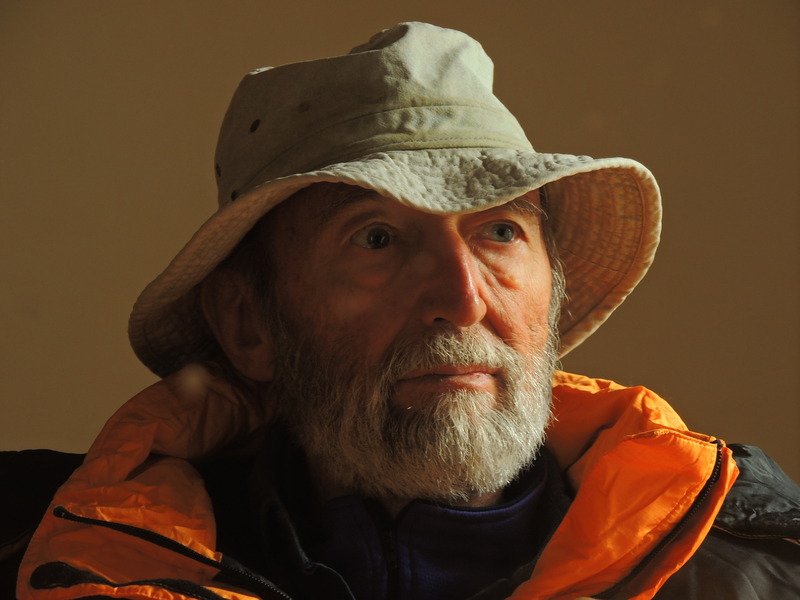 It is, above all, the latter who are the real culprits in this disaster: they have imposed a consumer-driven, unauthentic type of pseudo-mountaineering that both denies and betrays the very rationale of real mountain-climbing. There is no point in hiding the facts: the ascent of Everest has become a pathetic parody of itself. The poison brought by this approach to mountain-climbing, introduced through the sound of dollars by the commercial expeditions, has plagiarized the Sherpa’s minds and corrupted the fragile roots of their traditional culture, to a point to make them accomplices. For this reason alone we can forgive them, even when they fail to help a foreigner in serious difficulty who happen not to be climbing with the agency for which they are working just then, or when, knives in hand, they threaten the few independent parties that dare to come close to one of their fixed ropes. The episodes described by Fausto De Stefani and Simone Moro are typical, albeit not (yet) generalized. But everybody has a limit, even the most “robotized” Sherpa. 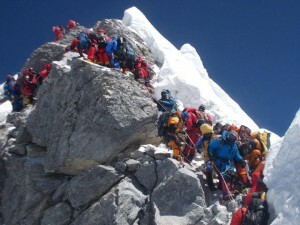 A few days ago a refusal by employers to allow a pause in preparing the ascent route (which is particularly insidious this year) so that the workers could observe their traditional funeral ceremonies and recover from the shock, was met with violent protests that culminated in an all-out strike. This fit of identity pride (combined, in truth, with a more prosaic request for improved insurance coverage and the easily comprehensible fear of paying the ultimate price) was enough to force dozens of pseudo-climbers to abandon the attempt and go home with their tails between their legs – which says it all on the subject of the complete dependence of these bunches of incompetent Tartarins de Tarascon on the help of the Sherpas. Now let us for a moment indulge in the pleasures of Utopia and attempt to list the minimum measures that could be taken if the world that revolves around Everest were not what it is. The first measure could be the imposition of a limited number of climbers per season, reducing them by at least half. The loss of revenue for the Nepalese government could be made up in part by a significant increase in the royalties. The second measure should be a ban on the use of oxygen during the ascent (not at night), at least below eight thousand meters, and a requirement to carry the empty oxygen bottles back down the mountain. This would suffice to eliminate three quarters of the would-be “conquistadores”. The third measure should be a limit on the equipment used on the ascent route, with fixed ropes only on the really difficult stretches. In addition, each expedition should be required to recover all equipment placed along the route, including ropes. The fourth measure should limit permission for the ascent only to those who can prove that they have climbed at least one Himalayan peak of over seven thousand meters. The fifth measure would involve the liaison officers that the government imposes on all expeditions. These individuals, who nowadays are totally useless and often easily corrupted, should be required to follow special training courses similar to those held for several years by Mountain Wilderness in other Asian regions (India, Pakistan, Afghanistan). It goes without saying that none of this will come to pass; or not, at least, until the UIAA decides to consider stringent and effective measures and put them in place. 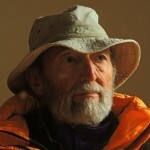 The first step could be to draw up a particularly strict code of behaviour for commercial expeditions, while anyone who fails to observe those rules scrupulously should be expelled without right of appeal from every Alpine Club. Utopia within Utopia?